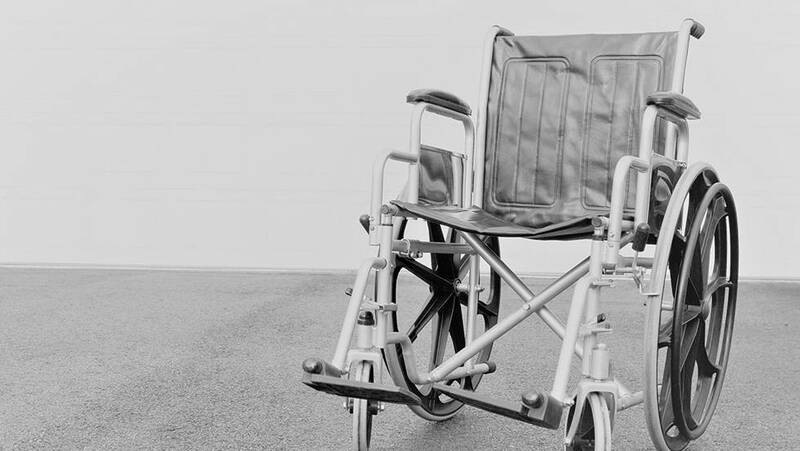 If you've ever needed to know a little more about the various components of a standard wheelchair, we've boiled it down to a few key points. Seat Width & Depth: The size of a standard wheelchair is usually referenced by Seat Width. Widths are found in 2-inch increments with 16", 18", & 20" being in the standard range. Widths smaller than 16" are generally considered to be pediatric while bariatric sizes start at 20" and progress wider in 2-inch increments. Standard wheelchair depth is 16" but taller individuals may benefit from deeper seats. Armrest Sizes: Generally available in two lengths, when purchasing a wheelchair you may have options for full-length or desk-length armrests. Desk-length refers to shorter arm pads which allow the chair user to wheel up under a desk, table or counter more easily. Full-length armrests are longer but can provide a barrier when wheeling up to tables, etc. Swing-away, Removable, or Fixed Armrests: Swing-away and removable armrests provide additional options for the user most notably when transferring. By being able to remove the armrest entirely or swing it into a position behind the chair, users can utilize transfer boards or otherwise perform lateral transfers that would not be possible with fixed, immovable arms. For individuals transferring without assistance, swing-away armrests allow the user to maintain easy-access to the armrest once the transfer is complete rather than removing it completely and then retrieving it. Legrests & Footrests: Footrests generally refer to the non-elevating style without calf pads and often with heel loops to prevent the user's foot from slipping off the footplate. Legrests have an elevation option that requires a calf pad, a necessity for some users that cannot bend their leg or who benefit from the elevation for other reasons, such as circulation. Height Adjustment: Many standard wheelchairs provide options for repositioning the axle which lowers the seat when combined with repositioning of the front caster wheels. This lower position is often referred to as 'Hemi-height'. It allows the user to propel the wheelchair using their feet or foot. This can be important for individuals, for example, who have had a stroke and cannot wheel the chair with both arms. Brakes: One of the most important parts of any wheelchair, the brakes are one of the items that requires regular checks and maintenance. Over time, and as the tires wear, the brake may begin to slip as it grips the tire less and less securely when in the applied position. For most types of brakes, simply loosening the nut on the reverse side of the attachment bracket and repositioning the brake closer to the wheel can strengthen its grip. However, be sure to test to ensure proper function once adjusted.